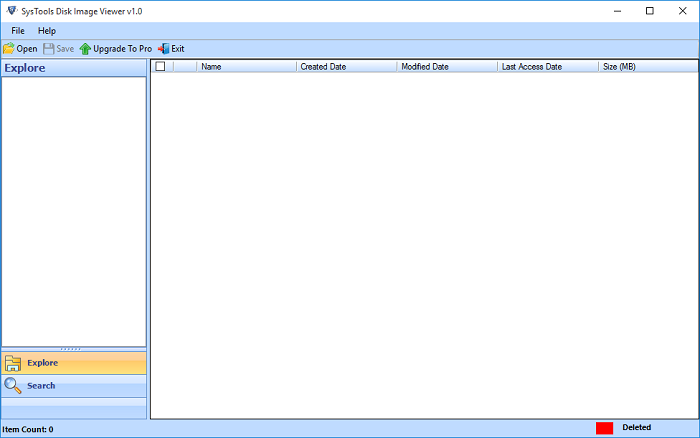 Disk Image Viewer tool to open and read disk image files of any size or types. One can view disc image files multiple times and scan corrupted or damaged data. It is easy to add any disk image files (DD, E01, DMG) and view its content. Disc Image Viewer can open and shows data from three types of email file formats such as EDB, OST, and PST present in the disk image file. One can view all the data such as emails, contacts, tasks, calendar, etc. Disc Image Viewer software first scans all files & folders, then shows the preview of local drive image data. 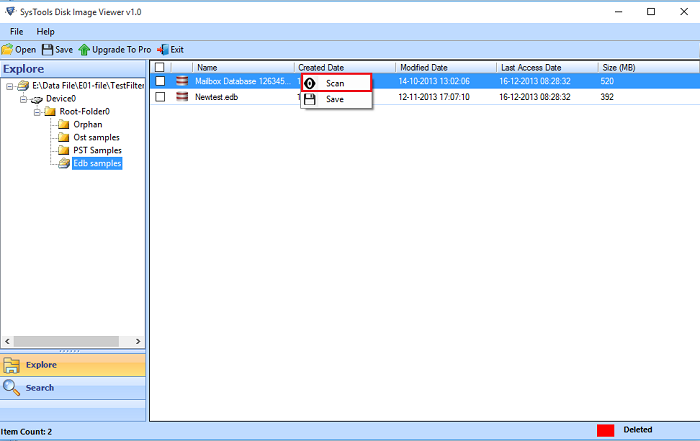 All items in the disk image files will load on tool interface and a user can easily explore its properties. 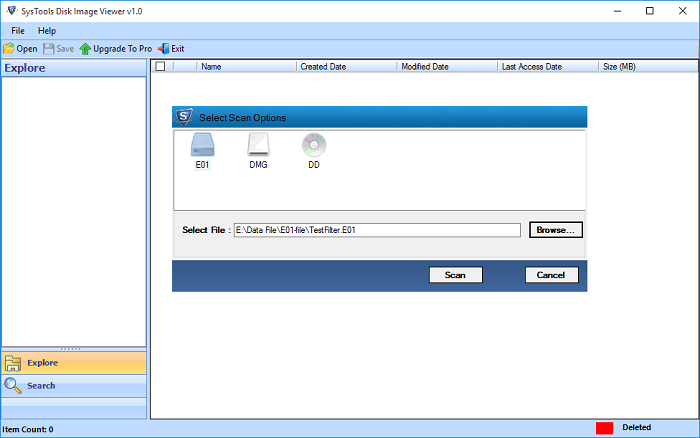 Disk Image Viewer shows the selected data files with its properties such as Name, Created Date, Modified Date, Last Access Date, Size (MB). This application maintains the folder structure and properties of disc image files. Disc Image File Viewer tool allows adding folder having multiple disk image files. The application will load all the data files present in that folder simultaneously. A user can view the status of the scanned file. Once the scanning finishes, a user can read all the data files at once. Disk Image Viewer will show all the local drive image file partitions and its content in original format without any changes. 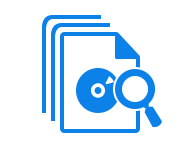 Disk Image Reader software provides an advanced search option to find & filter data as per requirement. A user can use any text or term or file extension to search the data within the disk image file and folders. Disc Image Viewer allows setting a specific date range "From" and "To" dates to search emails containing within the specified Date range. It can also search data by Created, Modified and Last Access Date. Demo version of Disc Image Viewer shows the preview of items. Explain the working of Disc Image File Viewer Tool? Step 1: Install & run Disk Image Viewer application. Step 2: Click on Open button and select the file format (DMG, E01, DD). Step 4: After successful scanning of the file, one can view and search the data items from the file. Step 5: To save or extract the file, you need to upgrade the software. Will the Disk Image Extractor help me to view corrupted data files? Yes, Disc image reader will open damaged disk image file by scanning each of its sectors and remove the corruption. I have disk image file of 5 GB. Can I open them using Disc Image Viewer tool? Yes, Disk Image File Viewer allows you to extract disc image files of any size. There is no such file size limitation with the tool. I have a disk image file which created in Linux OS. Will the Disk Image Viewer open it? Yes, Disk Image Reader allows viewing disc image file from any platform however it's created on Linux, Mac or Windows OS. I have 20 disk image files of different variants. Can I add them together to view disk image files content? Yes, You can easily add all disk image files together even they are from different variants. The Disc Image Reader tool process all data and will provide the preview for each file. Can I Extract Disk Image Files on my Windows 10 Machine? Yes, Disk Image Extractor software is supported by any Windows OS versions including 10, 8.1, 8, 7, etc. 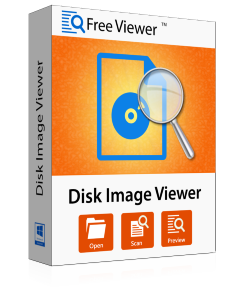 "Disk Image Viewer software helps me to open local drive image file which created in Mac OS. This is really a nicely developed program to extract disc image file in any Windows OS. Easily view disk image file of any size or any type. Thank You!" 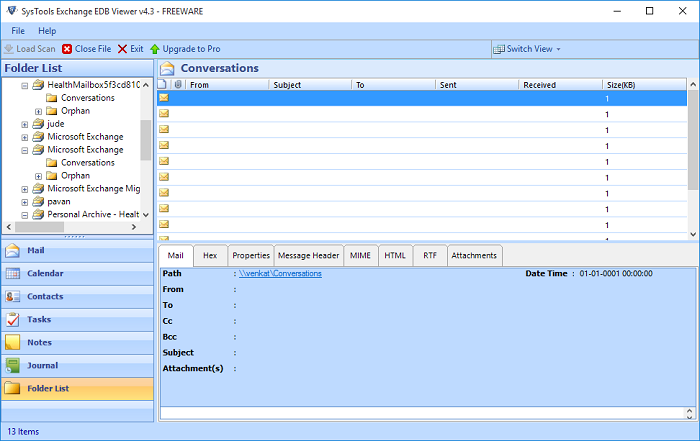 "The awesome Disk Image File Viewer is a standalone utility that allows analyzing emails within the disk image files. 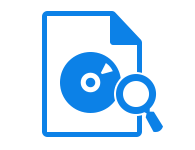 The advanced search option allows finding any data within the local drive image files easily. This also maintained file structure of data files. Thank You!" "I am surprised with the featured-rich Disk Image Viewer software that can open three types of Disk Image files namely DMG, DD and E01 on Windows platform. This is one of the finest utility I have used and got unexpected results. Thanks for developing such tool!" "I must say that Disk Image File Reader is an amazing utility with a user-friendly interface. It was easy to open and view Disk image files with the help of this application. Thanks, FreeViewer for this tool!"